Rooster. Rooster Year. Chinese New Year of the Rooster. 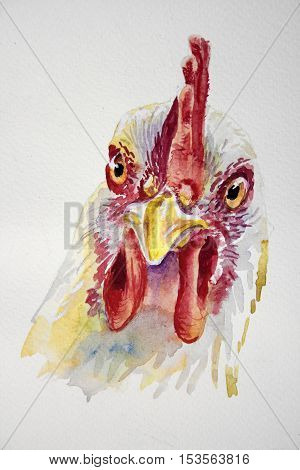 Watercolor Rooster New Year card.